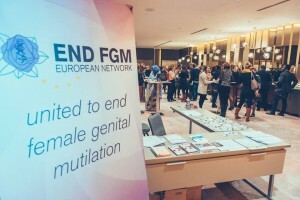 The 8th of November 2016, the End FGM European Network organized a conference at the Hotel NH Collection Grand Sablon in Brussels entitled Gender-related Vulnerabilities in the EU asylum procedures: Spotlight on Female Genital Mutilation (FGM). A link to the programme can be found here. 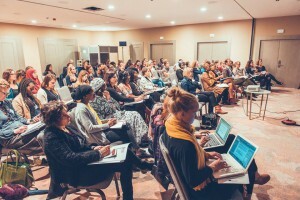 The conference focused on issues such as on vulnerability, credibility assessment, Country of Origin Information (COI), training of professionals and sharing information on promising practices to highlight some of the problems encountered by communities affected by FGM when they navigate the EU asylum system. I was invited to moderate the final panel session of the conference, which focused on promising practices and the importance of training of professionals, as well as to present the main points arising from the conference discussion during the closing session of the conference. The beautiful pictures of this blog post are taken by Paolo Patruno. 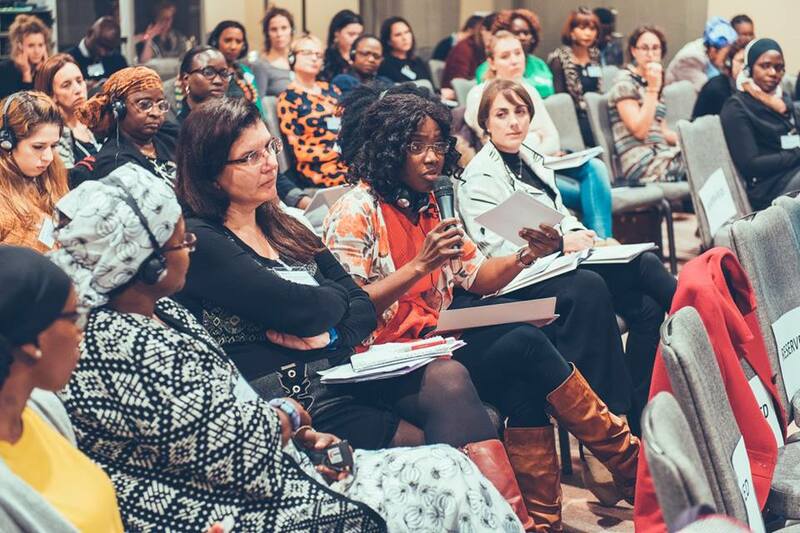 In one of my previous blogs, I wrote more extensively about the End FGM European Network, which is – in short – a European umbrella organisation of 16 national NGOs working to ensure sustainable European action to end the practice of FGM. This year, the focus theme of the Network was ‘asylum’ and large part of the Network’s work was dedicated this year to international protection. This theme is very relevant, since UNHCR estimates that between 20.000 and 30.000 women and girls from FGM-practising countries seek asylum in EU Member States every year. In addition, there are many concerns about the human rights situation of asylum-seekers and other migrants in the European Asylum System, especially woman and girls. While focusing on FGM and other gender-related vulnerabilities in the context of the EU asylum procedures, this conference had two aims: (1) To address on-going challenges in the reform of the Common European Asylum System (CEAS) and national asylum systems; (2) To identify and share good practices and address how we can deal with the issue of credibility, the systematic lack of training of professionals and bring together the different perspectives of the actors involved. The keynote speaker of this conference was Debora Singer, Policy and Research Manager at Asylum Aid. Asylum Aid is an NGO based in London. She explained how gender and vulnerability affect access to asylum for women and girls, specifically the impact they have on the credibility assessment of claims brought by women. She showed us that vulnerable groups, including women and children, are in need of special protection when reaching out for protection. The most vulnerable groups are precisely the easiest targets of systems and most likely to have their asylum claims denied. We watched this movie on youtube and learned that FGM survivors and women and girls at risk are particularly vulnerable in the asylum system, due to their characteristics and their situation. Either because they suffer from the physical, mental and emotional consequences of FGM, or because they fear for themselves or their daughters. Singer highlighted the complexity of asylum claims on grounds of FGM, stating that “compared with a political activist, it is harder for women claiming asylum to prove the risk they face. You don’t get a certificate for being at risk of FGM.” This is a central and critical element in the evaluation of a claim. We learned that a key challenge for women is the “Culture of disbelief”, which puts it harder for women to put their case clearly. Her presentation can be downloaded here. After the key note, it was time for the first panel session. 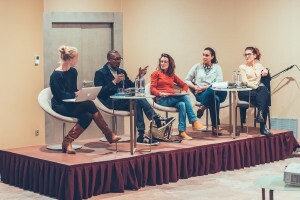 The title of this session was Granting international protection to FGM survivors: facing the EU system, moderated by Charlotte McDonald-Gibson, who is a Brussels-based journalist and author of the critically-acclaimed new book, Cast Away: Stories of Survival from Europe’s Refugee Crisis. 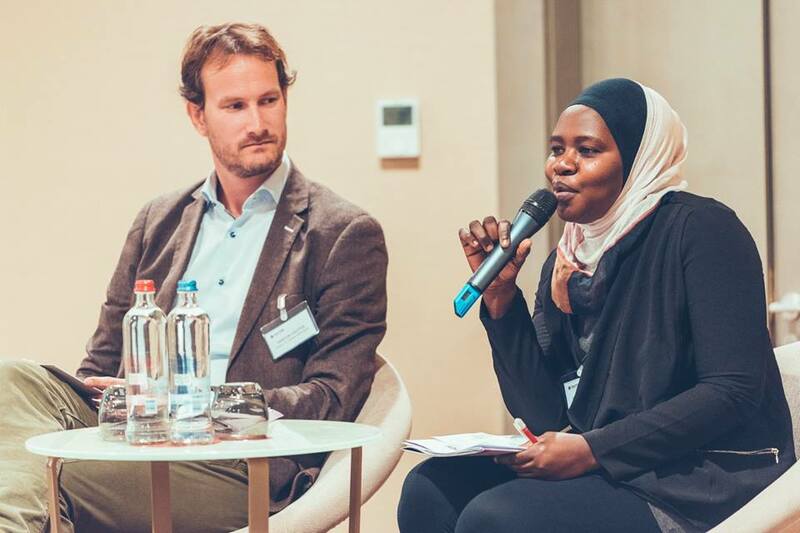 The panel included Andrea Vonkeman (UNHCR Bureau for Europe), Martin Vegter (Defence for Children Netherlands) and Bintou Bojang (Activist, Innocent Crocodile, Germany). 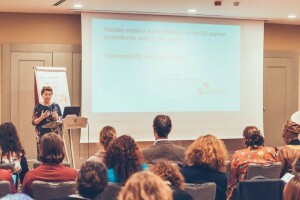 Andrea Vonkeman is a Senior Policy Officer at UNHCR’s Bureau for Europe in Brussels and has been closely engaged in the discussions around the recasting of the Common European Asylum System (CEAS) instruments, particularly those relating to gender based violence. She first gave a general introduction and explained how girls, women, men, and boys seeking asylum due to fear of persecution on FGM-related grounds can qualify for refugee status under the 1951 Refugee Convention relating to the Status of Refugees. She later emphasized that the UNHCR also found in their studies the same worrying trend as Debora highlighted, namely that women tend not to be believed in asylum procedures. During the Q&A session, the audience acknowledged this problem too. Martin Vegter is a legal advisor on children’s rights and migration at Defence for Children Netherlands. He regularly deals with cases of girls (or whose parent(s)) who claim asylum on the basis of the risk of FGM upon return. He raised the issue of the Country of Origin (COI) information, and how that is used to assess the risk. He explained that a challenge in the Guinean context is – at least in the Netherlands – that the focus is too much on the will of the mother that can protect her daughter. We also learned that gender- and child sensitivity is insufficiently acknowledged in assessing asylum requests. In addition, another problem that Martin highlighted was that the footnotes in COI reports are often confidential. Afterwards, Bintou Bojang shared with us her personal experience going through the asylum procedure in Germany. She is 22 years old, underwent FGM at the age of 11 in Gambia and applied for asylum in Germany in 2012. At first she was rejected, because the authorities didn’t believe her story. She then appealed and was granted – in the end – international protection. She founded the community-led organization Innocent Crocodile that campaigns against FGM. A short movie of her story and more background information can be found here. After the coffee break it was time for the second panel discussion. This session was entitled Credibility of asylum claims on grounds of FGM, mental health and psychological considerations and moderated by Christine Flamand, who is the Coordinator of INTACT. INTACT is a legal expertise center on FGM and other forms of gender-based violence in Belgium. They aim to protect women and girls from FGM through the respect of legal norms (national, European, international). 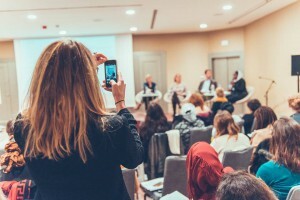 It also supports individuals and professionals in legal or judicial proceedings (legal consultations, follow-up of applications for asylum, support for professionals confronted with child victims or children at risk, trainings on FGM). The panel included Aji Rohey Manka (Network Ambassador), Peggy Mulongo (NESTAC, UK) and Dr Luc Decleire (Psychiatrist, Belgium). Peggy Mulongo is a doctoral researcher and a Cross-cultural Mental Health Practitioner. She emphasized the risk of re-traumatization. She claimed that the asylum process itself is “brutal” in getting information. Women are vulnerable, they often never talked about the practice, because FGM happened when they were very young. In the experience of Peggy, often it is only 6 months after talking to the women that she opens up and has a trust relationship to talk about what happened. Time is key to create a safe environment to enable traumatized girls and women, but also men to speak out. Dr Luc Decleire is a psychiatrist and ethnopsychiatrist. He is the Head of Geriatric Psychiatry at the Scheutbos Geriatric Centre and explained to us the psychological consequences and trauma that FGM survivors face. He showed us with is powerpoint presentation what happens to you and your brain when you suffer from a trauma. We learned how this is affecting the memory of the body, how it is affecting the brain. Traumatic women can cry during asylum interviews, they can collapse because of strong emotions. And as a consequence of the trauma, the brain could disfunction, resulting in making mistakes in dates, places and the notion of time. He emphasized the different therapeutic approaches and techniques currently used in Belgium with women affected by FGM and forced marriage. Aji Rohey Manka shared with us her personal story. She spoke about her experience fleeing Gambia as she feared she would be subjected to FGM and seeking asylum. She applied for asylum in Cyprus and has been granted international protection. She made us realize that – on many different aspects – more steps need to be taken and many hurdles need to be overcome. After the lunch break it was time for the third panel discussion, that I moderated. The title was Promising practices: the way forward. 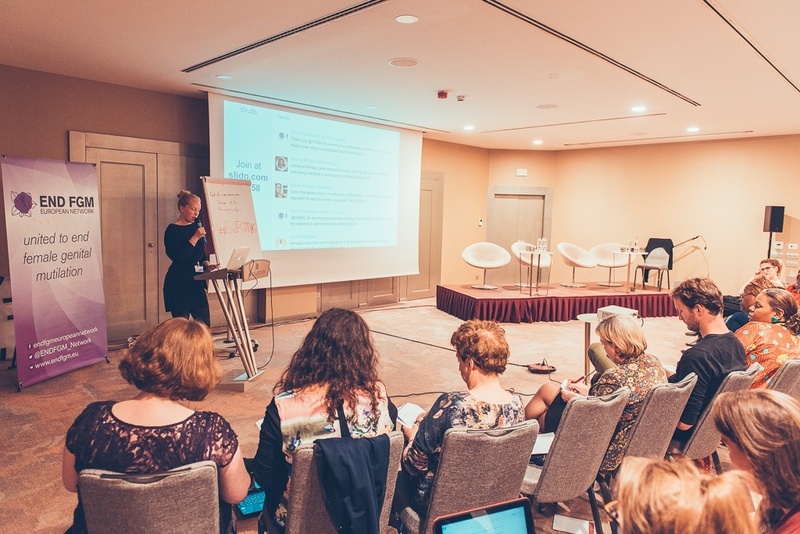 The panel included: Clara Caldera (United to End FGM Knowledge Platform for Professionals), Irene Masci (Cidis Onlus, Italy), Silvana Guenther (German Federal Office for Migration and Refugees) and Annalisa d’Aguanno (Psychologist, GAMS Belgium). During this panel session, three wonderful examples of promising practices were presented and included: (1) Online training and learning platform of the European Knowledge Platform for Professionals dealing with FGM; (2) The actions taken and successful project in the Emergency Reception Centres leading to an effective empowerment process in the case of a lady called Fatima; (3) The creative workshop for corporal expressiveness, for female victims of Gender Based Violence. Afterwards, I summarized and rounded up the conference at the end of the day. I focused on the on-going challenges in the reform on the Common European Asylum System (CEAS) and national asylum systems that we discussed during the conference, as well as the good practices that were identified. Although I wanted to be positive, I had to conclude that the protection offered to asylum seekers on FGM related grounds is still inadequate. European instruments refer to minimum standards of protection afforded to asylum seekers and as a consequence, various MS offer different levels of protection. There is unfortunately, not a harmonized approach and this is problematic in relation to the development of the Common European Asylum System. I explained that it is vital that states fulfill their legal obligations and provide adequate protection to girls and women seeking asylum on grounds of FGM/C. I expressed my hope that the promising practices that we discussed during this conference, and the recommendations that we drafted, will be used to bring about concrete change at the national level that is necessary. Mary Honeyball closed the conference at the end of the day. She is a Member of the European Parliament for the Group of the Progressive Alliance of Socialists and Democrats in the European Parliament (S&D) since 2000. She is a member of the Committee on Women’s Rights and Gender Equality. Annemarie moderated the final panel of our conference. She was extremely thorough in her preparation of the event and coped with professionalism and grace with last minute changes. The panelists and participants were a mixture of different backgrounds, professions and experiences, including those directly affected by FGM; Annemarie was sensitive to the challenges that this presented and adapted the discussion accordingly. She also had the difficult task of summarizing and rounding up the conference at the end of the day. She did this succinctly, with energy and clarity and was really able to highlight our key recommendations and demands. 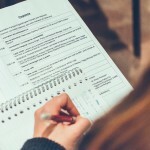 I would recommend Annemarie as a speaker, moderator or panelist very highly. Aside from her professionalism, commitment and astute strategic thinking, she is a real pleasure to work with.